How Has Trade Changed Over Time – Sig Nordal, Jr.
Trading centuries ago was way different than what we’re experiencing today. It was less convenient, easy, and predictable. It took a lot of time and it came with a lot of risks. Here, we take a look at how has trade changed over time. Post-war investment was very different to the trading opportunities of today. The Great Depression, along with two world wars, had impacted the Stock Market such that very few people owned common stock. In fact, until 1954, daily trading volumes sat below one million shares on the NYSE – a tiny fraction of what they are today. Investing was time-consuming and investment choices were fairly restricted, thanks to the limited competition among independent stockbrokers. With contemporary technology, trade took much longer, too. Investors had to contact their brokers to instruct a trade. After that, a ticket needs to be created before the transaction can be carried out. Prices were also harder to come by. An investor had little choice but to contact a stockbroker for the current market price on shares. One instrumental change that took place was the introduction of a monthly investment program by the NYSE. This enabled investors to risk smaller amounts of money. While the Stock Market was experiencing slow growth during the 1970s, progress and changes in other areas were beginning to take place. Where trading had traditionally taken the form of physical stock certificates, this decade saw the rise of electronic trades, with stocks held at a central depository. As automation and technology improved, the capacity for trading volume increased. 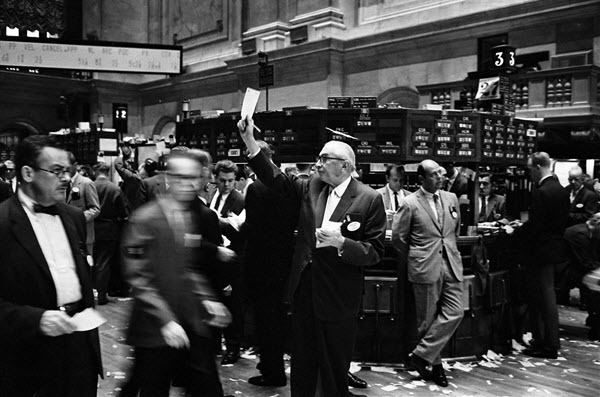 At the time, the NYSE reported a daily trading volume of 100 million by 1982. In 1970, the trade in derivative financial instruments increased. A number of governments initiated volatility into the markets by relaxing controls on pricing and a methodology for establishing option prices was introduced. Predicting future prices was sped up with the advancement in computing technology. It wasn’t just the improvements in computers that helped the financial markets grow in the late 20th century. In their 1996 publication, “Globalization Myths”, Paul Bairoch and Richard Kozul-Wright noted that the price of a three-minute phone conversation from New York to London fell by $242 over the course of the century. By 1990, a call was just $3. That’s way lower than its $245 price in the 1930s. With cheaper telecoms available and electronic trades predominating, commissions were lower and investments could be smaller. Smaller risks were a major factor in the increase of mutual funds. With the introduction of individual retirement accounts (IRAs), more investors chose to pool their money with others’ in order to achieve financial goals. Today, it’s possible to make trades from the comfort of your living room, without having to employ the services of a broker or a financial advisor. 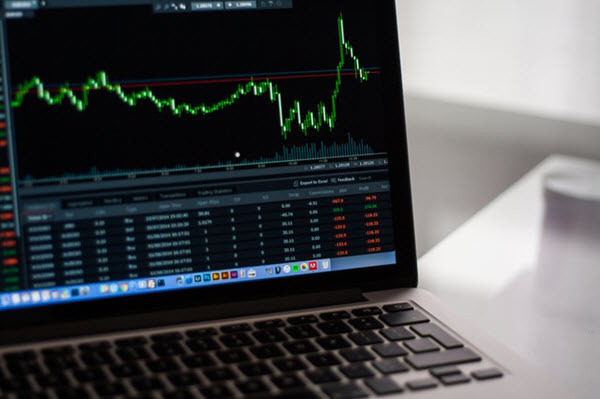 The internet has proved an invaluable resource to investors, with current prices available on demand and the option of managing daily investments themselves. Trade options have become so extensive that those who are new to investing can find the market somewhat intimidating. With the information available on the internet, new traders can easily adjust. Compared with the 20th century, the economic sectors are vastly different. Iron, coal, and steel were a much larger part of the market before. Today, banking, pharmaceuticals, and information technology are the largest sectors. Further differences include a rise in online brokerages, which means investors are able to pay lower commission rates, and the introduction of decimal pricing for stocks in 2001. As a result, there’s faster trading. These developments come with an increased risk. As the credit crunch of the late 2000s demonstrated, globalization and the close relationship between international markets can mean there is nowhere to hide when disaster strikes. An apparently small event in an overseas market can, therefore, have economic implications across the world. Rather than being conducted through multiple regional exchanges, today’s global economy is defined in terms of financial centers. The largest of which are Tokyo, London, and New York. Although investing is quicker, cheaper, and more convenient nowadays, the number and complexity of options make it more challenging. With the risk introduced by globalization, a portfolio structured for the future is more important than ever. See Also: Trading Tips For Beginners: Are You Emotionally Ready to Trade Online? The post How Has Trade Changed Over Time appeared first on Dumb Little Man.